( Bantul, August 3, 2011) – Timor Leste national football team have shown a great performance and they are able to draw with Persiba Bantul. Emmanuel Nonny unshackle his team from lossing; he scored a goal at 74 minutes, at 10 minutes earlier he substituted for Sidonio Augusto De Jesus. Timor Leste selecao have surprised their opponent when they score early goal. Charles da Costa, a Bullen Lions of Australia’s striker manage breaking Persiba’s defense and contribute scoring early goal at 9 minutes. The table was turn when Udo Fortune score at 36 minutes; at the end of the first half of the match Persiba and Timor Leste was drawn. The second was resume. 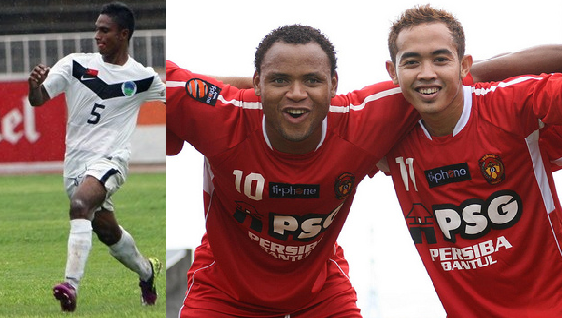 At 51 minutes another attack goal from Persiba had Timor Leste defense unsecured. Choirul Anam of Persiba Bantul who score a goal at 1 minutes. When the match end, Both teams was drawn, Persiba Bantul 2-2 Timor Leste. 500 crowds at the stadium were not expected that Persiba would draw with Timor Leste and they were very amazed at Timor Leste’s overall performance. ” That a great start for Timor Leste seleccao. I hope we could do better next times at Bandung when play against Indonesia U-21 at Timor- Indonesia Rivalry Cup, which is next week at August 8. ” said Antonio Carlos Vieira. You are currently browsing the Andy1890's Blog blog archives for August, 2011.